It is a clear victory for ferns over koru in RadioLIVE's Find the Four flag poll. It was also a clear victory for Wellington-born architectural technologist Kyle Lockwood who designed all four of the winning designs. Announcing the winners on RadioLIVE Drive today, Duncan Garner said he was not impressed. "None of them grab me enough to say we must move away from the one we have." 1. Coming in top was Lockwood's Silver Fern (Black,White & Blue) design which got 16.93% of the vote. 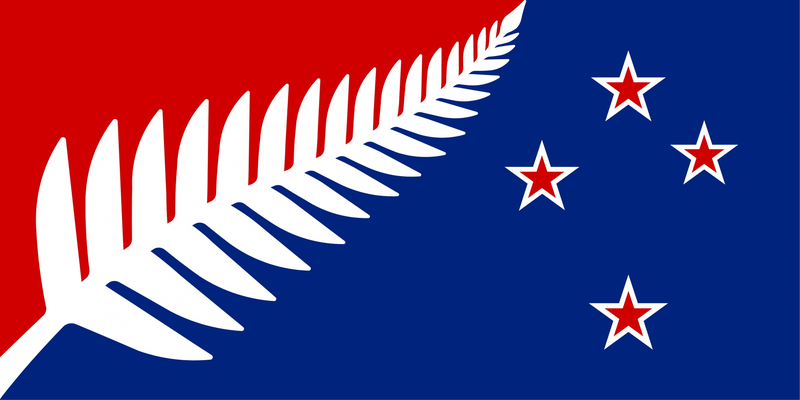 2.The second most popular was Lockwood's Silver Fern (Red,White & Blue) flag which drew 14.72% of votes. 3.Next was Lockwood's Silver Fern (Black with Red Stars) which got a total of 8.39% of the vote. 4.The fourth favourite was Lockwood's Silver Fern (Black,White & Red) which received 6.81% of the vote. Three of the bottom four flags had green components, showing most voters preferred traditional colours like red, blue, white and black.